Woodworking is one of those hobbies that might seem intimidating and difficult at first, but once you get the hang of it, you’ll find it to be one of the most relaxing and fun things you can do. 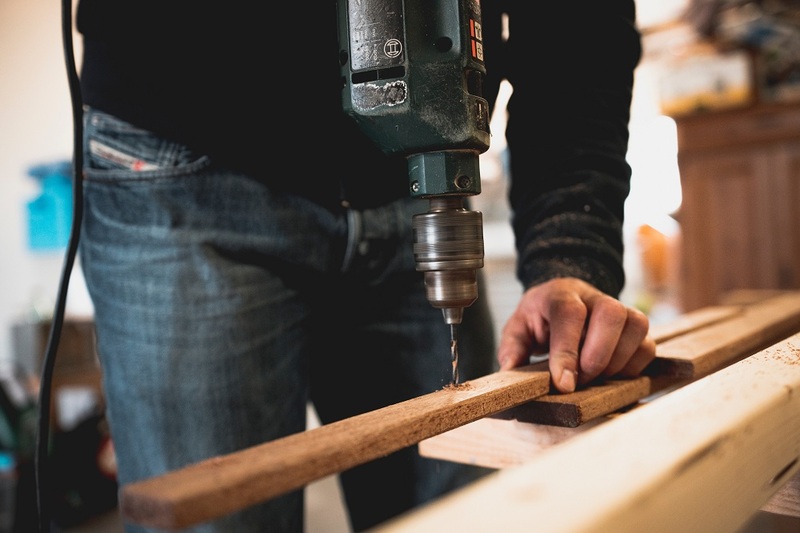 While some woodworking projects can require complex tools, we’ve compiled a short list of easy to do projects that you can make at home! It’s one of those things we don’t really notice until we trip over a pair of boots, but shoes make up a majority of clutter inside our houses. 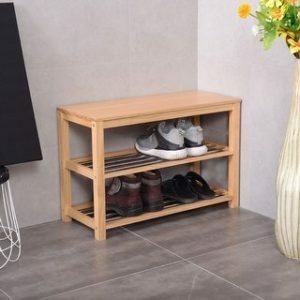 Even if you decide to just leave your shoes in a small corner of your hallway, this can easily pile up and turn into an unsightly, not to mention hazardous, mess. During winter or rainy months, muddy shoes can be a problem, and it can be quite gross to just pile them up in a corner of the hallway. Avoid this by creating a simple shoe organizer to help you keep things in order and off the floor. Most of the items for this simple project can probably be found lying around your shop. You can also use spare pieces of wood from discarded furniture to give your shoe organizer a distinct homey feel! Measure out your 1×4’s and cut and shape them to fit your shoes and the space you’ll put the organizer in. Using your saw and drill, screw in the dowel supports onto the 1×4. Glue (or nail) the dowel supports, making sure to leave 2 in. of dowel to hang footwear like sandals. Get yourself a nice finish and apply it onto the wood before mounting the shoe organizer on the wall. Once the finish is dry, screw the organizer to studs. You can also use toggle-bolt anchors for a sturdier way of holding the whole thing in place. 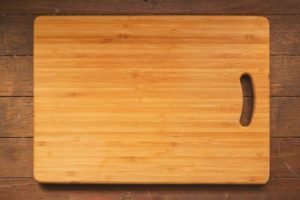 You might have seen these fancy restaurants serve their food on chopping boards and thought, “hey, I want in on that!”. And why shouldn’t you: it’s a unique way of presenting your food AND it saves on washing dishes! Most of these tools should be a staple in any workshop, although orbital sanders can be a bit expensive. If you don’t have one, don’t worry: do it old-school and sand up this bad boy by hand! You can definitely use old pieces of wood lying around, just make sure you sanitize them first by cleaning it thoroughly with soap and water, then sprinkling it with baking soda and rubbing it with lemon. Not only does it disinfect the board, it also gives it a fresh and enticing smell! Scribe the arcs and bends of your board using a steel ruler, yardstick, or any thin board with a distinct shape that you like. Once you’re done shaping the main chopping board, attach the dowels using water-resistant wood glue. Keep the board as even as possible while the glue dries to make them more stable. Once dry, use the orbital sander to smooth out any rough surfaces. A nice coat rack not only gives you a convenient place to hang coats and hats, but also gives a room a unique accent and serves as great decoration when not in use! For this project, we used a 6 ft. long piece of 1×4, but you should use a length that works for your available space. For the wood, we used poplar because it’s the one that looks best with a painted finish. However, if you prefer a natural wood look, any other type is fine. Apply a finish to your board before attaching your hooks. For this project, we installed drawer pulls in the middle for coats and then installed a robe hook at the top for larger items like backpacks and satchels. 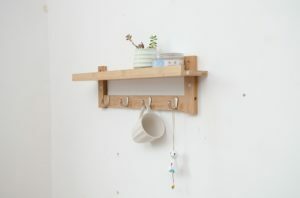 Decorative hooks can be found at hardware stores and online sellers, or, if you’re lucky, flea markets. If you have the equipment for it, you can even forge your own (but this is a beginners guide, so we won’t go into that yet!). Once you have your board and hooks assembled the way you like, attach it to studs or with screw-in drywall anchors. We recommend using at least three screws for each board, one screw each for the top, bottom, and middle. Once attached, that’s it! Enjoy your new coat rack and hang your hat to make it home. 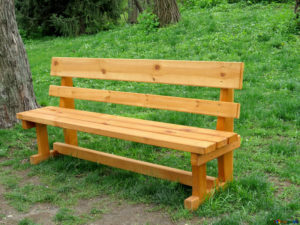 Give your garden or porch a very unique aesthetic by building your own wooden bench. We used natural Acacia wood because of its warmth, intrinsic beauty, and sustainability. Acacia is a great choice of wood for outdoor benches because it is a dense and durable species that can withstand the elements. For the legs, we cut 2×8 pieces from a 10 ft. piece of Acacia, while the backrest and seat were cut from an 8 ft. piece. To avoid splitting the wood, predrill all your screw holes with the countersink bits. Lay out your pieces of wood and assemble the sides in such a way that they mirror each other, with the back and seat pieces as your point of reference. Using construction adhesive and three 2-1/2 in. deck screws, join the legs to the seat. Then, set up the sides so that they stand parallel to each other, then screw and glue the seat and back pieces into their respective places. Finish the entire thing with a coat of stain or an exterior oil of your choice. These are just a few examples of woodworking projects for beginners. Do you have an easy project of your own that you want to share? Comment it on the box below!